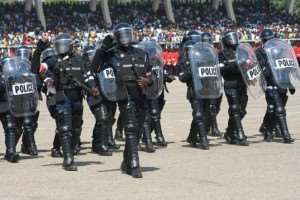 There is uneasy calm at Wamfie, in the Dormaa East District of the Brong-Ahafo Region, as a protracted chieftaincy dispute which turned bloody and claimed several lives 38 years ago resurfaces in the area. Residents say they lived in extreme fear, and appealed to government, the Regional Security Council, and the Regional House of Chiefs to act fast by intervening for amicable settlement of the dispute to avert any possible clash. To this end, the Mansin Royal Family, one of the two royal gates in the area, has therefore petitioned the Judicial Committee of the Brong-Ahafo Regional House of Chiefs to act fast by intervening to settle the matter to prevent an imminent clash that could lead to violence. The leadership of the Mansin Royal Family, further appealed to members and supporters of that gate, both home and abroad to be tolerant and exercise restraint as the Family used laid down procedures to resolve the dispute and brought calm to the area. An accompanying affidavit filed by Nana Obiri Boahen of the 'Enso Nyameye Chambers', a Sunyani-based legal firm, and made available to the Ghana News Agency (GNA) affirmed that one Barimah Ansu Adjei and Mrs. Gladys Adomah were not the Chief and Queen of Wamfie respectively. It described the purported installation of the two as uncustomary, illegal, improper, and therefore pleaded with the Judicial Committee to declare it as null and void. 'We are seeking an order of perpetual injunction to restrain Barimah Adjei from styling himself, holding himself out and purporting to act as the Chief of Wamfie', it added. The petition is also seeking an order from the Committee to restrain the Dormaa Traditional Council from referring to or acknowledging Barimah Adjei as the Wamfie Chief, before the dispute was settled.